A few weeks ago, we decided to get away for a short vacation. On the heels of an extremely busy summer, we knew we needed a break. But this was more than a simple case of needing some rest and relaxation. Following the death of my father-in-law, we also knew we needed time to grieve, to breathe, and to reflect. A week at the beach was exactly what we needed on a soul level. It had been a year or two since our last trip to the beach. 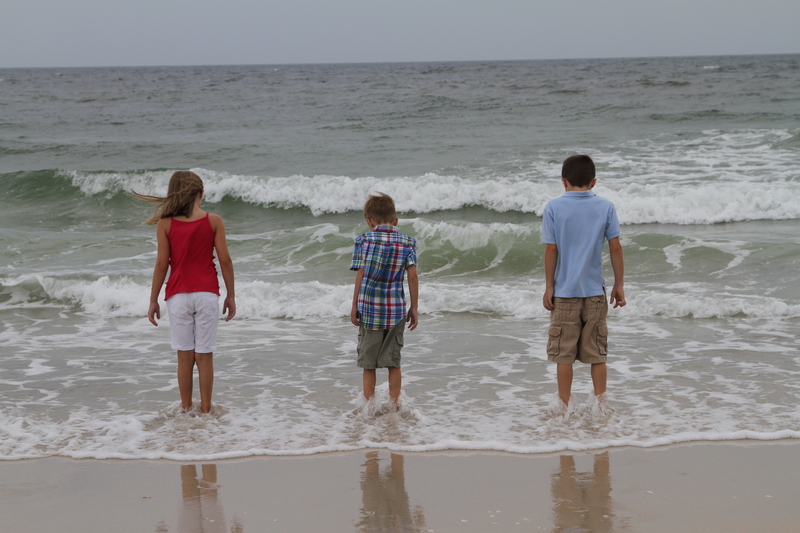 Last time, our kids were still afraid of the ocean and all the creepy, crawly living things that swim past your ankles. But this time, it was different. The ocean became a vast playground for them with waves to ride and seashells to collect and fish to catch. (We did all three of these things.) As I watched them running along the sand, drinking in the experience, I realized that this trip was exactly what my children needed: after being introduced to the grown-up realities of illness and death this year, they needed time to be kids again. Their laughter was balm to my heart. The trip was therapeutic for Sunny and me as well. I spent an afternoon simply watching the water. The ocean really seems to be a living entity unto itself, perpetually moving and speaking. Its unexplainable magnetism draws me to quiet, still places and allows me to hear a voice that is often drowned out by the noise of routine. In the course of that hour, I witnessed the ocean’s rhythms constantly wiping clean the surface of the beach. I suppose the ocean draws out a bit of childlike wonder in all of us, for I found myself drawing and writing in the sand only to have my artistic creations washed away in a matter of minutes. And this caused me to reflect on a deeper reality: the ocean’s power to recreate and make new is nothing more than a reflection of the One who created this teeming pool of life in the first place. In the series of visions that John records for us, known as the book of Revelation, there is a promise that God through Jesus will one day make all things new. Life may be fleeting. Our time here may be quite like sand-scrawled script with high tide approaching. But there is also a promise of life being renewed, a promise of resurrection glory and this promise is spoken all around us. Every minute of every day on millions of miles of beach coast around the world, the ocean declares the glory of the One who is making all things new. How can we not have the eyes to see this? There is no mark I can leave that will not be washed clean. There is no stain I can leave that will not be washed away. 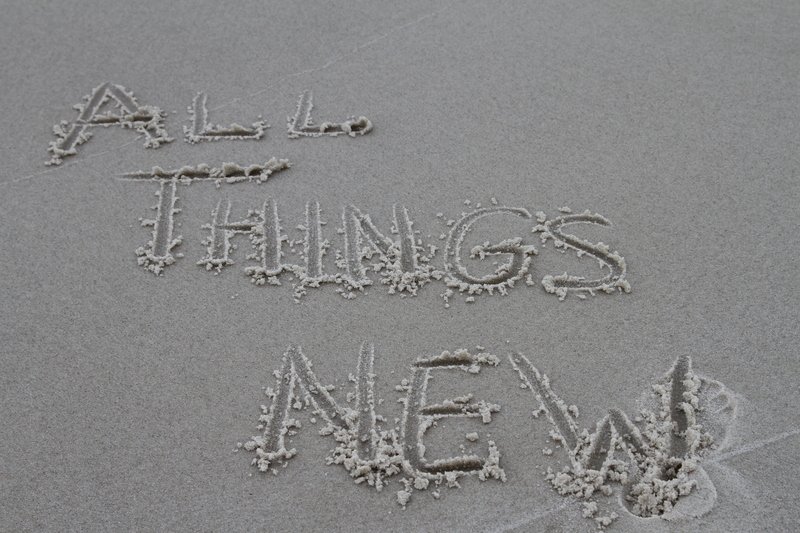 For He is making all things new. This entry was posted in Blessings, Devotional, Family, God, Jesus, Kids, Scripture and tagged All things new. Bookmark the permalink.